When the noted political philosopher Iris Marion Young died in 2006, her death was mourned as the passing of "one of the most important political philosophers of the past quarter-century" (Cass Sunstein) and as an important and innovative thinker working at the conjunction of a number of important topics: global justice; democracy and difference; continental political theory; ethics and international affairs; and gender, race and public policy. In her long-awaited Responsibility for Justice, Young discusses our responsibilities to address "structural" injustices in which we among many are implicated (but for which we not to blame), often by virtue of participating in a market, such as buying goods produced in sweatshops, or participating in booming housing markets that leave many homeless. 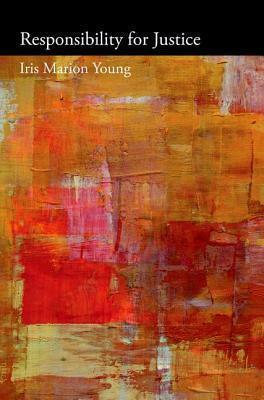 Young argues that addressing these structural injustices requires a new model of responsibility, which she calls the "social connection"
With a foreward by Martha C. Nussbaum, this last statement by a revered and highly influential thinker will be of great interest to political theorists and philosophers, ethicists, and feminist and political philosophers. Iris Marion Young [deceased] was Professor of Political Science, University of Chicago. She is the author of Inclusion and Democracy and On Female Body Experience.